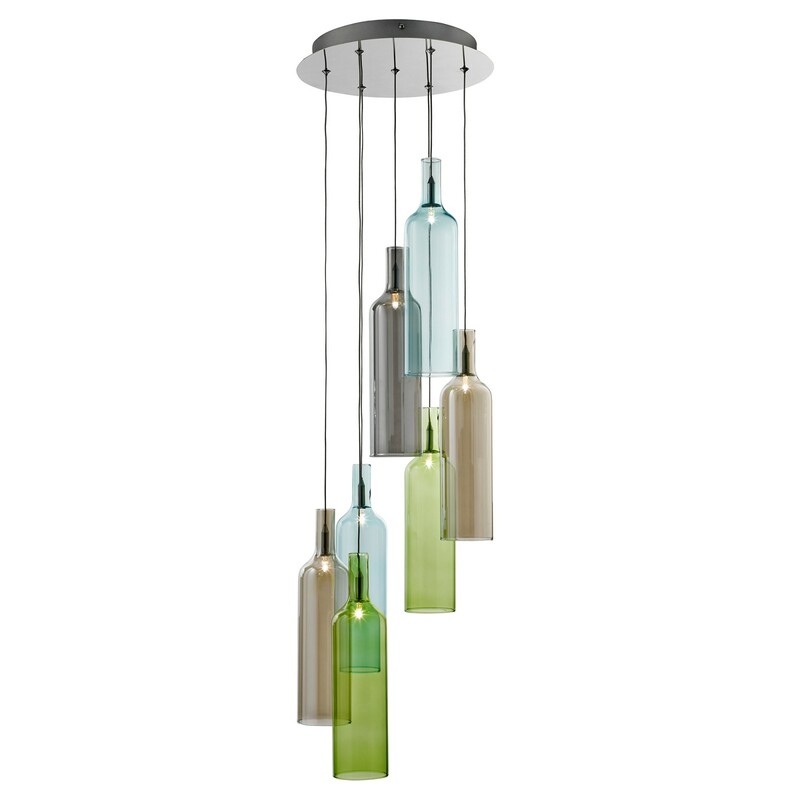 This Vibrant 7 Light Multi-Drop Pendant with Multi-Coloured Glass Bottles has a fashionable artisan look. The seven coloured bottles look stylish as they hang at divergent heights from the circular ceiling fitting. And they make any room look contemporary, vibrant and hip.